There never would have been a Ray Charles, or a James Brown. From the mid-twentieth century on, gospel music not only thrived within a separate sphere as vital as the jazz, rock and rhythm and blues worlds; it also constantly intersected with the secular music industry, providing models that countless artists outside the church emulated. 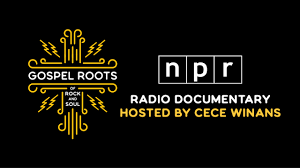 GOSPEL ROOTS OF ROCK AND SOUL, an ongoing series from WXPN, explores these connections as a way of reinstituting gospel's central place within the history of American popular music. It includes free live performances, dynamic radio programs, and an interactive website featuring exclusive contributions from some of the most acclaimed and authoritative voices in gospel and popular music. The project is supported with a grant from The Pew Center for Arts & Heritage and will extend through early 2019. It airs on 89.9 through February 24, 2019.